Hi guys I’m back and I’m super pumped because I just have scored myself a massive bargain. I recently bought a new (well it is used but it is new to me) iMac- 27 inch with an i5 quarter core processor. I’m really excited about this one because I bought it from GumTree for $1,000. This is a product that usually sells around 1,600-$1700 so I got a great bargain for it. 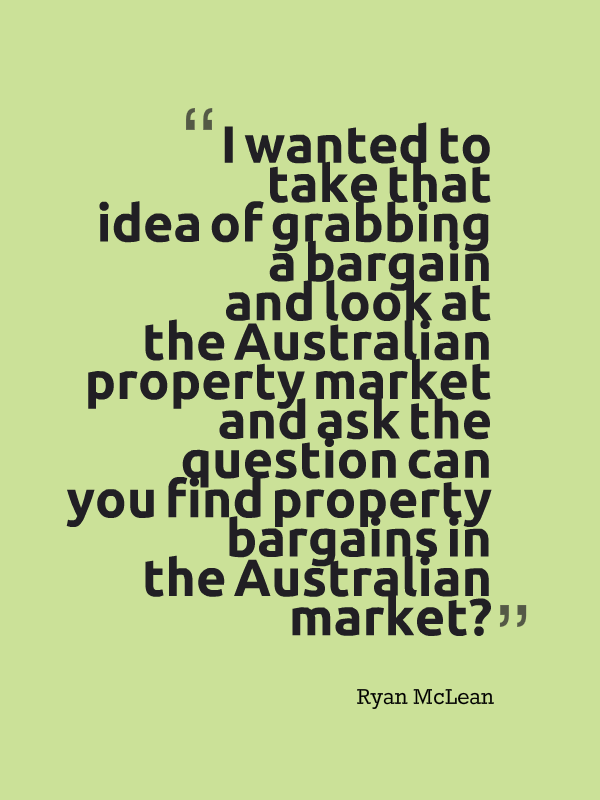 Can You Find Property Bargains In Australia? 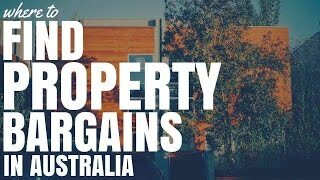 I wanted to take that idea of grabbing a bargain and look at the Australian property market and ask the question can you find property bargains in the Australian market? The answer is obviously yes, there are people buying bargains all the time – but how can we find them? Why Would You Want a Property Bargain? So, why would you want a property bargain, let’s have look at that first. Well as I said, instant equity is one of the reasons that you would want to grab a property bargain. If you can buy a property below it’s valuation, below market rate then you have instant equity to work with and to go and buy other properties. If you want to instant access that equity it is not straight forward because in the most cases when bank lends you money it will lend you based on evaluation or the purchased price of the property, whichever is lower. So your initial loan isn’t necessarily going to give you instant equity that you can pull out but you can then go ahead and get that property revalued and look at rate financing but that instant equity can be a great way to build up your portfolio. You can also get a higher rental yield if you are buying property below the market value because it is still probably going to rent for market value. If you buy below the market value then your rental yields are going to be higher. The chance of that property being positively geared is going to be higher as well. So there is some great advantages to buying property under market value but how do you find them? So let’s look at some of ways that you can find them. The first thing that you want to look for is motivated seller. You want a property where the seller has issues, not where property has issues. The seller may need to access funds quickly in order to finance a divorce or in order to finance a business venture or whatever is that they are wanting to do but the problem is with their own finances and they need to personally access their money quickly or need to get a certain amount of money. You can use that in your advantage and you can get a great price for property so it works out for the both parties. What you don’t want is when the property has problems- structural issues and so forth and it is below the market value because the property isn’t worth that much because it has so many problems. So you want a motivated seller with maybe their own issues but not a property with it’s issues- unfixed problems. There may be some things that many buyers are overlooking at this property because it has issues with it. If you can go and fix these issues than maybe the property will go up in value significantly. A lot of people when they are going to buy a property they are buying it for their home. Recently I saw a video from Jason from positiverealestate.com.au and he talks about the percentage of Australians that are investors and it is great to see. You will see that majority of people in Australia own their own homes but don’t own investment properties which means that when we are selling or when we are buying the majority people we would be competing with are people buying their own home. So when they are looking at a property and it has all this issues with it, they might steer away from it because it’s their own home but if you can look at it as an investor and say ‘what if I fix this issues, what would the property be worth?’. Then you may have a bargain on your hands. Another thing to look at is again, kind of around the issue of problems, but it’s having a novel outlook on the property. So this means looking at the property from a different angle. And so it makes it very humorous and makes people look at things in a different way, and maybe you can do the same thing with property. Maybe people are overlooking it because it has a certain issue, or maybe they’re overlooking it because it doesn’t deliver the returns but if You can change that property slightly or you can change it significantly then maybe you can get a great return in investment. That could mean rezoning, knocking down the wall and changing the layout, it could mean a number of different things, but by having a different outlook by thinking creatively then you may be able to grab yourself a bargain to you. It might not necessarily be below market value but you can get that quick equity growth by shifting something, making it more appealing to the market. You can also look for bargains using a powerful search tool like Realestate Investor. This is a very powerful search tool and what it does is that it searches through all the property listings and it brings out keywords. So you can search for things like ‘motivated seller’ or ‘bargain’ or ‘must sell quick’… These sorts of terms that are used to indicate that the seller has issues and needs to sell the property quickly. You can then filter out the properties that don’t have those keywords so you can just look at the ones that are likely to be below market value. So that’s a very powerful tool that I have used myself and I do suggest it. Click here to check it out. Now, if you can’t afford Realestate Investor you can use great Google search techniques to be able to find a selection of properties just like Realestate Investor would. It’s not as good, it’s not going to give you as a definitive list and all the help that Realestate Investor does, but it will give you a starting point at least. And it is that simply to type in, I like to type in ‘Property for sale’ or ‘House for sale’ in Google, type the ‘suburbs’ – so that might be Sydney or Cronulla Sydney, and then put in inverted commas ‘motivated seller’ or whatever your keyword is. That indicates that you want that exact phrase in the search results and so it will filter out things that don’t have that exact phrase – ‘motivated seller’ or ‘price to sell’ or ‘just reduced’. Okay? So just type ‘house to sell’, your suburbs and then in inverted commas, in quotation marks the keyword that you’re searching for, and you will get a list. It’s never going to be 100% accurate – it’s Google. They’re constantly getting better, but it’s a good starting point. And lastly you can look on Gumtree, which is where I got my iMac from. We can back around full circle, you can go ahead and look on Gumtree because a lot of people will list their properties on there if they don’t want to go through a property manager. So there may be some bargains that you can access on there that are going to be under market value, that you can get instant equity of. Obviously, always do your research – just because it’s on Gumtree it doesn’t mean it’s a good investment. So always do your research into the property, get your building and pest inspection and so forth. So there you have some ideas about finding a bargain investment property in Australia. Hope that’s been helpful for you. I’m super excited because I’m editing this video on my new iMac – 27 inch, which was a bargain; so until tomorrow which is when the next episode comes out I want you to stay positive.